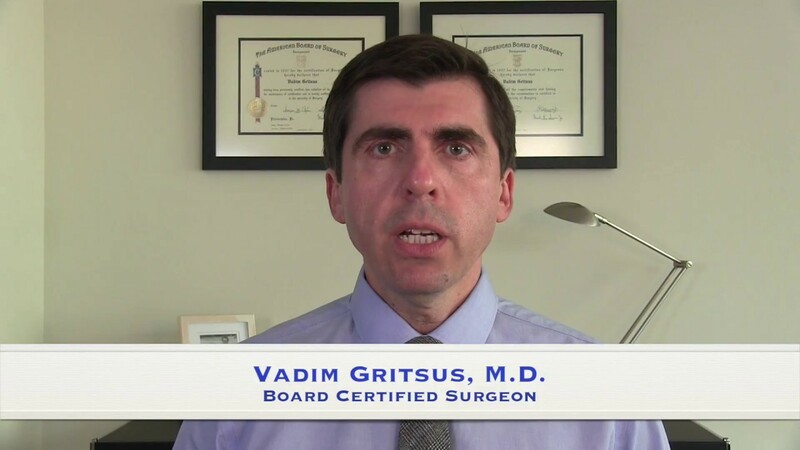 Dr. Vadim Gritsus has garnered a reputation for excellence in the field of weight loss surgery. He brings an exceptional level of experience and skill to every surgical procedure, performing the most advanced, effective, and least-invasive surgeries. 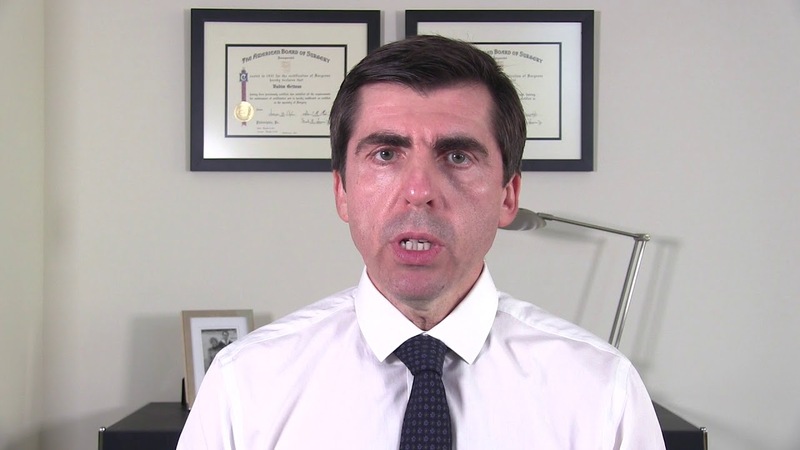 As a well-respected NJ bariatric surgeon and researcher, as well as serving as the Director of Bariatric Surgery at Atlantic Health System/Chilton Medical Center, he is trusted for his professional skills among the best weight loss doctors in NJ, and for providing a nurturing, supportive environment at his private New Jersey practice. With over an estimated 97 million adults in the USA considered to be overweight or morbidly obese, if you are in this category, you are not alone. The condition of severe obesity is often associated with genetic factors or chronic physical conditions that cannot be resolved through diet and exercise, but modern surgery brings new hope for a healthy life. Dr. Gritsus understands the challenges faced by those who have an unhealthy weight, and performs surgical procedures to help them live a longer, happier, and healthier life. 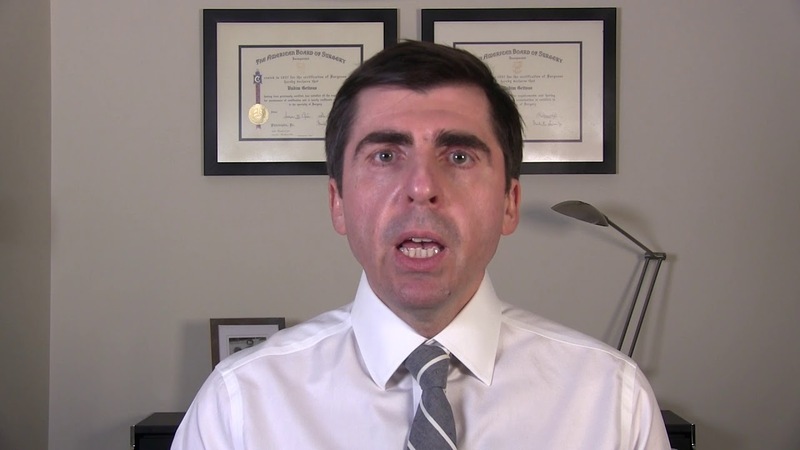 Dr. Gritsus deeply believes that those who are candidates for his NJ bariatric surgery should be treated in a clinical environment that is warm and compassionate. He is known for his surgical skills in a range of weight loss procedures, as well as his deep compassion for his patients, and the challenges they have been facing through being severely overweight. Expect a personal, customized treatment plan for resolving weight problems when you come to Advanced Surgical Solutions. The entire professional team at the practice is dedicated to serving patients with treatments that are above and beyond the ordinary from the first consultation through surgery and recovery. Schedule a consultation today. A healthier life starts here. Those who suffer from extreme obesity can have a healthier, happier life with the help of our weight loss doctor in NJ. Using advanced weight loss surgery techniques, we will help you achieve your weight loss goals. If you are living with obesity, it is often a terrible struggle, and in many cases, diet and exercise are not effective. Many factors influence a person’s body weight, including genetics and specific health conditions. Being severely overweight is not only unhealthy, it dramatically reduces quality of life, both physically and socially. You deserve a longer, healthier life, and at Advanced Surgical Solutions, we are here to help. Various surgical techniques are available to address extreme weight, and a consultation will allow us to determine which technique will bring about the most positive results to your life and future. Our New Jersey Bariatric surgery allows patients to quickly lose weight, and to regain a healthier life, both physically and socially. At our practice, we perform a range of advanced surgical procedures. Our services don’t end after surgery; we are engaged in helping our patients maintain a healthy weight through following a diet that promotes health and will get the best results after surgery. A lifelong commitment to gaining better health is an important part of making any bariatric surgical procedure successful for the long term. We are here to help you through the challenges, and bring about a better quality of life. 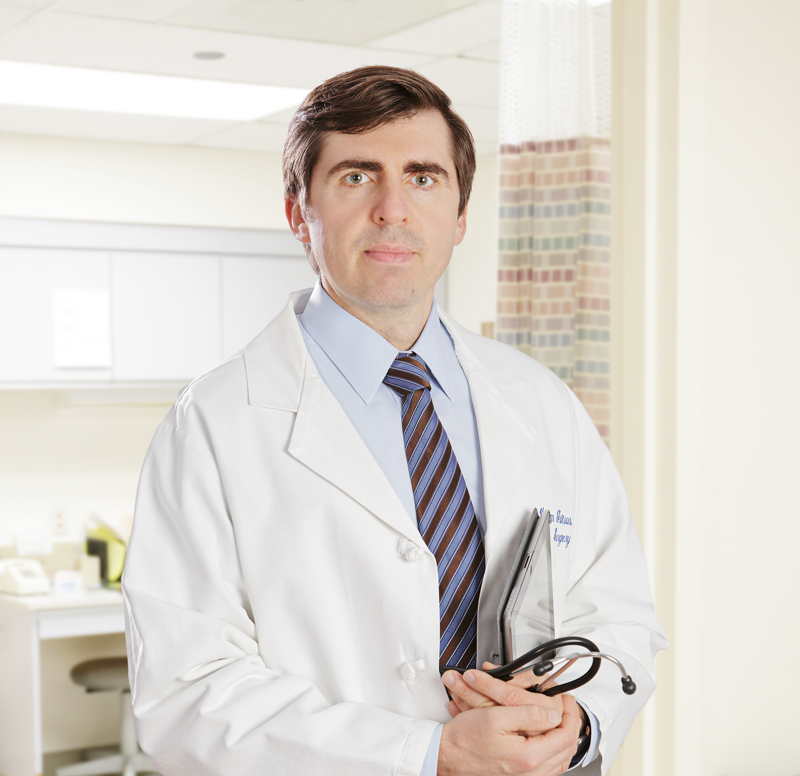 Our New Jersey bariatric surgeon, Dr. Vadim Gritsus, will also perform laparoscopic surgery to resolve hernias effectively. At our practice, we offer minimally invasive surgical repair for both types of hernias -- inguinal (groin) and ventral (abdominal). At our state-of-the-art surgical center, our surgeon employs only the most advanced surgical procedures in hernia repair. Millions of people face dealing with a hernia during a lifetime. As one of the top bariatric surgeons in NJ for hernia repair, you can be confident in our knowledge, skill, and use of modern surgical procedures for better results and faster recovery time. Hernias are a common condition in which an organ is pushing through an opening between muscle or tissue that should be holding it in place. Weakness in muscles or connective tissue can lead to a hernia, typically the result of a disruption of the natural process of tissue repair, or increased pressure or strain. Some types of ventral hernias are a life-threatening surgical emergency, demanding immediate treatment. There are several surgical procedures that may be used, based upon the specific condition of the patient. At our practice, we carefully evaluate the hernia to determine the treatment plan that is appropriate, whether open repair or laparoscopic repair. You can be confident that our surgeon has the qualifications, experience, and surgical skills to help you move past the problems a hernia brings. The diaphragm has a small opening called the hiatus through which the esophagus (food tube) passes to connect with the stomach. A hiatal hernia occurs when the stomach pushes upward through this opening in the diaphragm. A large hiatal hernia can let food and acid back up into the esophagus, causing heartburn and acid reflux. In some cases, this condition can be treated with medications to relieve the symptoms. If the hernia is very large, however, surgery may be needed to repair it. There are two main types of hiatal hernia. One type may be a cause for serious concern, even when no symptoms are present, because complications can arise in which the blood supply is cut off to the stomach. A hernia in the groin area is termed an “inguinal hernia.” These hernias occur most frequently on the right side of the groin, and are often debilitating. Certain life-threatening complications can result from an inguinal hernia, and the condition should be treated as early as possible. These hernias most often arise due to heavy strain, such as lifting a heavy object, separating muscle or tissue and allowing the hernia to pop through. The abdominal wall is made up of several layers, one of which is the “fascia,” a strong layer that functions to hold the abdomen together. The groin is an inherently weaker area of the fascia, which can rupture under stress. We use state-of-the-art laparoscopic surgery to repair a groin hernia safely, quickly, and effectively.